Phorbol 12-myristate 13-acetate (PMA) is a protein kinase C (PKC) activator which associates to the C1 domain. It is structurally analogous to diacylglycerol. PMA is a potent tumor promoter. PMA induces ERK1/2 activation and is frequently used with ionomycin to stimulate intracellular cytokine production in T-cells. PMA also facilitates long term potentiation in hippocampal neurons via δ and ε PKC binding sites. Additionally, PMA potentiates exocytosis and modulates vesicle fusion kinetics. Phorbol 12-myristate 13-acetate inhibits P-glycoprotein-mediated efflux of digoxin in MDCKII-MDR1 and Caco-2 cell monolayer models. Li YH et al (2014) Acta Pharmacol Sin 35(2) : 283-91. Phorbol ester phorbol-12-myristate-13-acetate promotes anchorage-independent growth and survival of melanomas through MEK-independent activation of ERK1/2. Jørgensen K et al (2005) Biochem Biophys Res Commun 329(1) : 266-74. Involvement of PKC alpha in PMA-induced facilitation of exocytosis and vesicle fusion in PC12 cells. Xue R et al (2009) Biochem Biophys Res Commun 380(2) : 371-6. Phorbol 12-Myristate 13-Acetate Enhances Long-Term Potentiation in the Hippocampus through Activation of Protein Kinase Cδ and ε.
Kim EC et al (2013) Korean J Physiol Pharmacol 17(1) : 51-6. 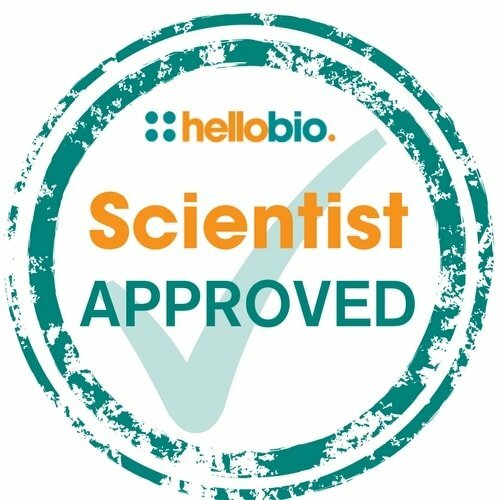 The following papers have cited the use of Phorbol 12-myristate 13-acetate (PMA) (HB0502) from Hello Bio. If you have published a paper using this product, and it is not shown here, then please tell us! We will send you a free gift as a thank you! Shipping at RT but it works properly. cheap and quick delivery.